Lots of users don’t know how to logout of Tumblr. The following blog post will walk you through the process. Tumblr is a popular social networking and microblogging site used by people all across the globe. It is the best place to share stuff you love and discover exciting stuff. Apart from that, you can connect people with similar things. To fancy users, the company periodically update its blogging platform and sometimes changes the interface entirely accompanied by the position of several elements of the services like Log In and Log Out buttons. The process of logging into Tumblr is straightforward. All you have to do is visit tumblr.com on the default web browser. In the Login form, enter the credentials, and you’re done. In case, you don’t have a Tumblr account, then click on the Signup button available on the upper right corner. But sometimes new users find it difficult to Logout of Tumblr, although the process is straightforward, you have to find out the logout icon. Here’s how you can do that. 1. Once you’re logged into Tumblr account, head over to the Tumblr dashboard. 2. Here, click on the Account icon available on the upper right corner. 3. In the Account menu, you will see Log out written on the upper right side of the menu. 4. 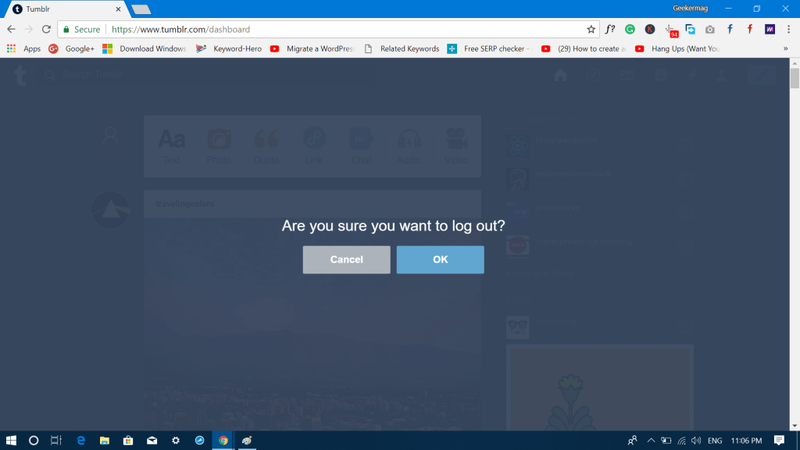 Instantly “Are you sure you want to log out” pop-over will take the screen. Here click on the Yes button. That’s it; you will successfully log out of Tumblr account. 1. Launch the Tumblr app. 2. Tap on the Account icon available on the bottom right corner. 3. In the next screen, click on the Gear icon available on the top right corner. 4. Here, tap on the General settings. 5. In the next screen scroll down Account section. Here you will find Log out option. 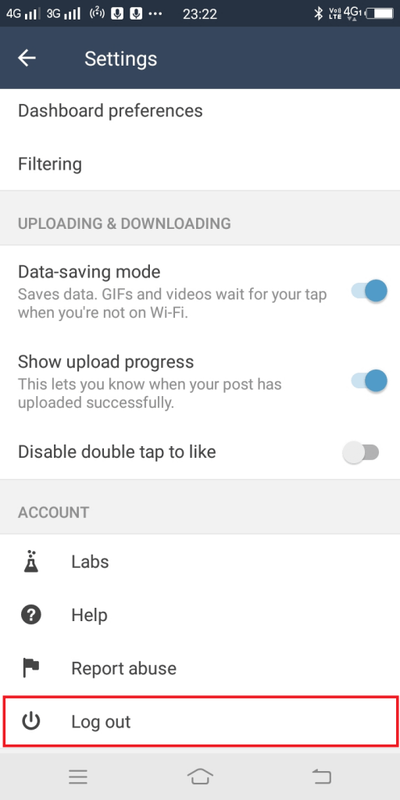 Tap on it to logout of Tumblr on Android phone. 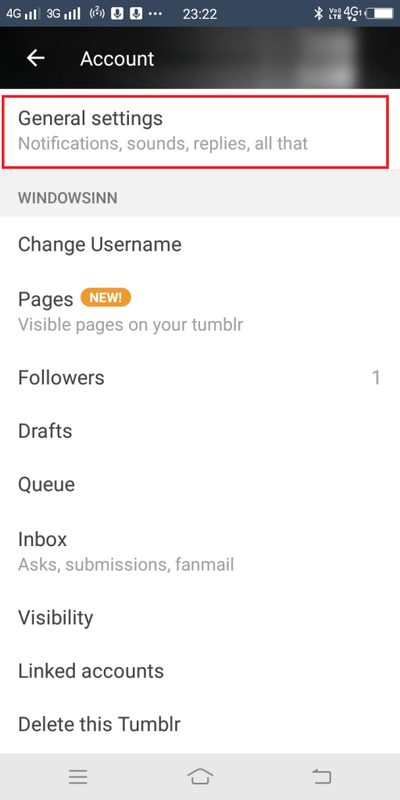 Regarding Tumblr for the iOS device, the steps are similar. Maybe you find options on the upper or lower side. Isn’t logging out of Tumblr super easy? I hope from now onward you won’t find it difficult to logout of Tumblr. Find this blog post on how to logout of Tumblr useful? Want me to write a related tutorial for another service? Feel free to share in the comments.